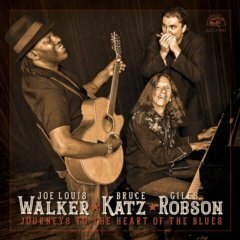 “Hard Pill To Swallow” from Journeys To The Heart Of The Blues by Joe Louis Walker, Bruce Katz &amp; Giles Robson. Released: 2018. Track 11 of 12. Mighty and masterful Blues from a most excellent group of players.